Another name for Harriet was Betty. 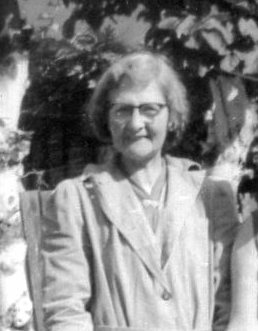 Harriett Beatrice is recorded in the 1935 & 1955 Twickenham Richmond Electoral Register as having a Residential Qualification, and Occupiers Qualification through her husband to vote and living at 3 Popes Grove Twickenham. Fenn Harriette Beatrice otherwise Harriett Beatrice of 29 St Margarets Rd Swindon died 9 May 1975. Probate Oxford 3 Dec 1975 L8341 0s 0d. Harriet after her husbands death worked as a house keeper for a Mrs Leskin of 17 Wychwood Avenue, Cannons Park, Edgeware, MDX, but kept her marriage a secret from some of her family. Image courtesy Geoff Martin 2016.